Everyone's favourite card game of quick reactions with a Minnie Mouse twist! 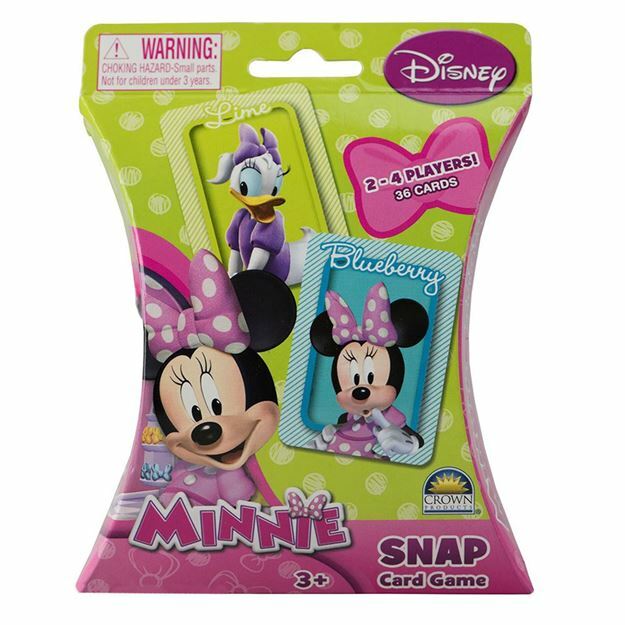 Test your memory skill as you flip cards over, try to make a pair of your favourite Minnie Mouse characters and yell SNAP! For 2 to 4 players. Age 3+ years. Distributed in New Zealand by Holdson.